Warren Buffett is arguably the greatest investor of all time. Over his career, Buffett’s investing prowess formed one of the greatest conglomerates of all time and generated a lot of value for investors. 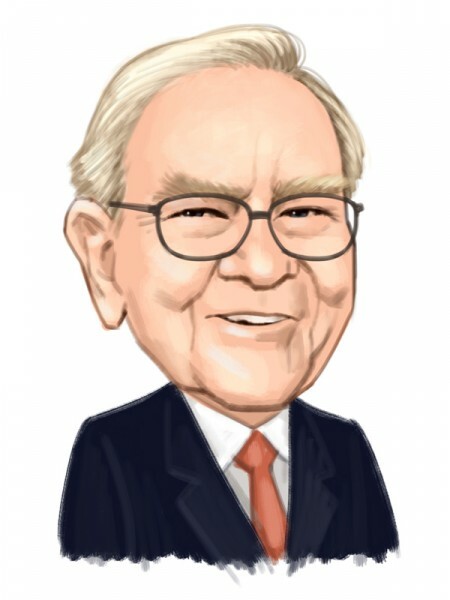 In this article, examine four stocks that Buffett’s Berkshire Hathaway held in the second quarter and that company insiders have also bought in the last six months, including Liberty Latin America Ltd Class A (NASDAQ:LILA), United Continental Holdings Inc (NASDAQ:UAL), Teva Pharmaceutical Industries Ltd (ADR) (NYSE:TEVA), and Restaurant Brands International Inc (NYSE:QSR). According to our data, Warren Buffett’s Berkshire Hathaway held over $51.9 million worth of Liberty Latin America LTD since the end of the second quarter, and there has been notable insider purchase over the last six months as well. In particular, on August 23 through 24, Liberty Latin America Chief executive Balan Nair bought a cumulative 55,000 shares at around $18.19 per share for a total cost of slightly over $1 million. In terms of its performance, although Latin America is a growth market, shares of Liberty Global PLC LiLAC Class A (NASDAQ:LILA), which provides telecommunications services, has lagged the S&P 500, declining around 8% year to date. Despite the soft performance, many investors believe in the company’s long term prospects given its defensible infrastructure. In terms of insider activity, there were 2 insider purchases of UAL over the last six months while Berkshire Hathaway owned over $1.8 billion worth of United Continental Holdings Inc (NASDAQ:UAL) stock at the end of Q2, accounting for 1% of the Berkshire Hathway equity portfolio. Buffett’s stake in the airline has paid off over the past year with shares of UAL rallying 37% year to date and 58% over the last twelve months. Despite the rally, UAL trades at a single-digit forward P/E of 9.33. In terms of analyst commentary, Catherine O’Brien of Goldman Sachs recently initiated a ‘Neutral’ rating with a $102 target price. While the industry faces fuel headwinds, O’Brien believes stronger sales trends along with cost control attention could firm up sector margins. Although shares have performed poorly from the middle of 2015 to the middle of 2017, Teva Pharmaceutical Industries Ltd (ADR) (NYSE:TEVA) has been hot over the last four quarters, almost doubling over the past year and up 23% year to date. Buffett has also benefited from the rally, with Berkshire Hathaway owning around $1 billion worth of the stock at the end of Q2, accounting for 0.5% of the equity portfolio. As for Wall Street’s view, David Risinger of Morgan Stanley is optimistic, with a ‘Overweight’ rating and a $27 target, citing expected strong cost cutting, new products that might exceed demand, and more eventual credit by the market for Teva’s execution if it lowers its net debt/ EBITDA. There were also 2 insider purchases of TEVA over the last 6 months. Although Buffett kept his holdings in Restaurant Brands International Inc (NYSE:QSR) stable from the end of Q1 to the end of Q2, the chain nevertheless accounted for 0.3% of Berkshire Hathaway’s equity portfolio, good for around half a billion dollars at the end of June. There was one insider purchase at around $60.34 for 5670 shares made by director Golnar Khosrowshahi. For its third quarter, QSR reported adjusted EPS of $0.63 on sales of $1.38 billion, missing the consensus slightly by $0.02 per share and $20 million.